Mette Bech Risør is a Professor of Medical Anthropology at the General Practice Research Unit at UiT The Arctic University of Norway. She has substantial experience with health research conducted in close collaboration with healthcare institutions, in particular within psychiatry and general practice, and is the creator and editor of the interdisciplinary Journal of Sickness and Society. Her fields of interest include everyday experiences of illness and disease, their interface with clinical settings and the clinical realities of patients and doctors. A special focus is directed towards healthcare seeking, illness perceptions, interpretation of symptoms, communicative challenges and the relation between patient and doctor; these topics are approached with a critical eye focused on the structures of health care and health systems. Moreover, cultural and social contexts as well as political economies of health inform her research. 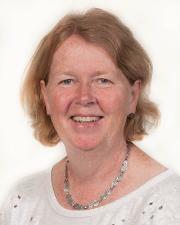 Nina Nissen is a medical anthropologist and associate professor at the Department of Public Health, University of Southern Denmark. At the heart of her work are explorations of the interplay between healthcare, gender (and other social differences), and social and personal change processes. Her particular research interests focus on three interrelated areas: the intersections between individual’s care for self and others and different forms of care practices in pluralistic medical systems; healthcare users’ conceptualisations, experiences and practices concerning health, illness and healing; and health social movements and public participation in healthcare and health research. Her methodological interests include creating synergies between medical and visual anthropologies, using medical anthropological theory to inform work with images, and images to question, modify and stimulate empirical and conceptual work.